How about another UK bike. This is a nondescript Hercules 10-Speed sent in by Barry M.
I bought this for $9 years ago at a thrift store. All there except the handlebar tape and seat. All steel, even the handlebar stem. I swapped out the drop bars for uprights, but kept the original drop bars and stem. If anyone can date my 10 speed, I’d appreciate it. Whoever Said You Can’t Race an Old Ten Speed? 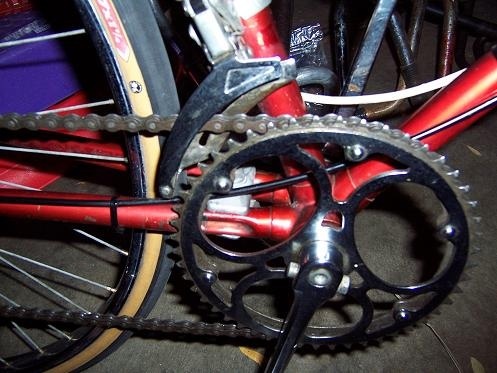 Love those chainrings! Very classy. That’s a Brooks B72 saddle. I don’t know what the particular spring is called though. I have the same bicycle in the same color, the only difference is the front chain ring, has a trouser guard. 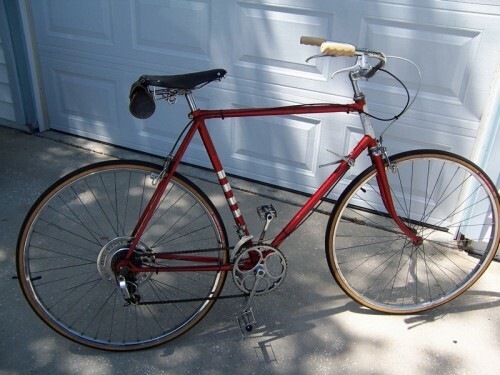 I bought it as my first 10 speed in 1969 from a toy store. Still riding it occasionally. Thanks for that info. Do you know your serial number? That might show if yours is older or newer than mine. The number is on top of the lug in front of the seat stem. Thanks, Mike, I think there’s no way to decipher the year from the serial number. Post up you Herc when it’s done. Mike, any chance you can read the serial number? Thanks. 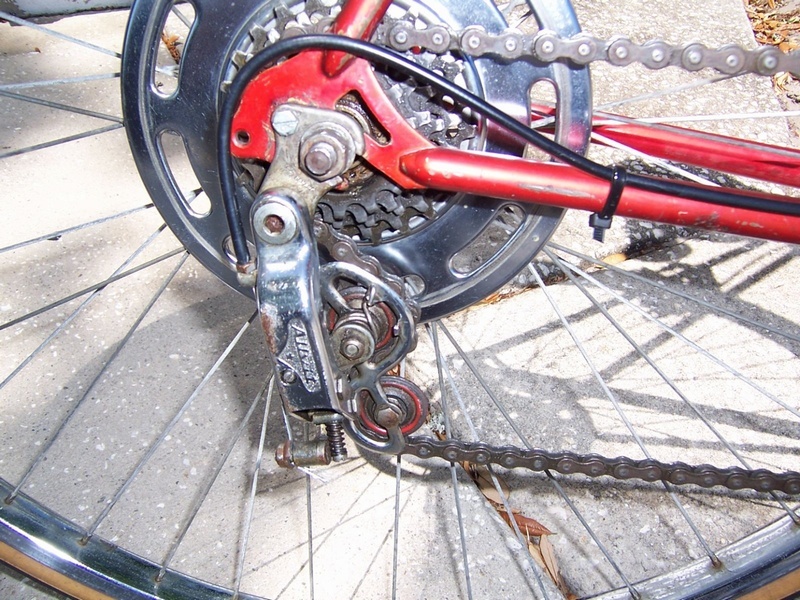 After a little research,this is the best description I could find of how that saddle spring works. Torsion Springs are manufactured to offer resistance to forces of twist or rotation. Is it just the photo or is the front wheel smaller than the back? This is a classy ride, fo’ sho. Both wheels are original, 27 inch. Whoa. That bike just took my breath away!